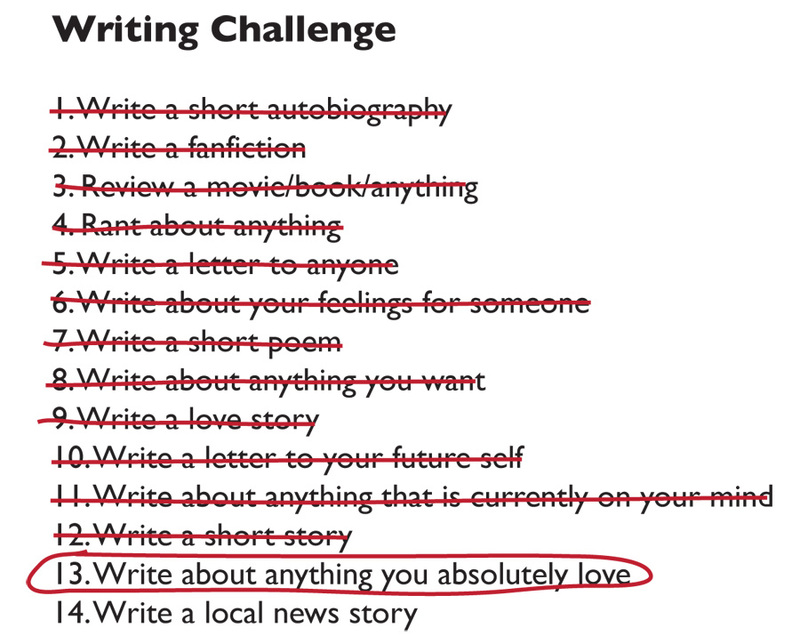 Challenge #13 says I have to write about something I absolutely love. This is a hard one because I love a lot of things. I guess I’ll just have to pick one. I have my favorites of course; books that I could read over and over again. I loved It and The Stand (though it took me months to read) and The Talisman (my all-time favorite). I saw an ad for Dr. Sleep, a sequel to The Shining, that I am dying to read (no pun intended)-if I can find the time, that is. 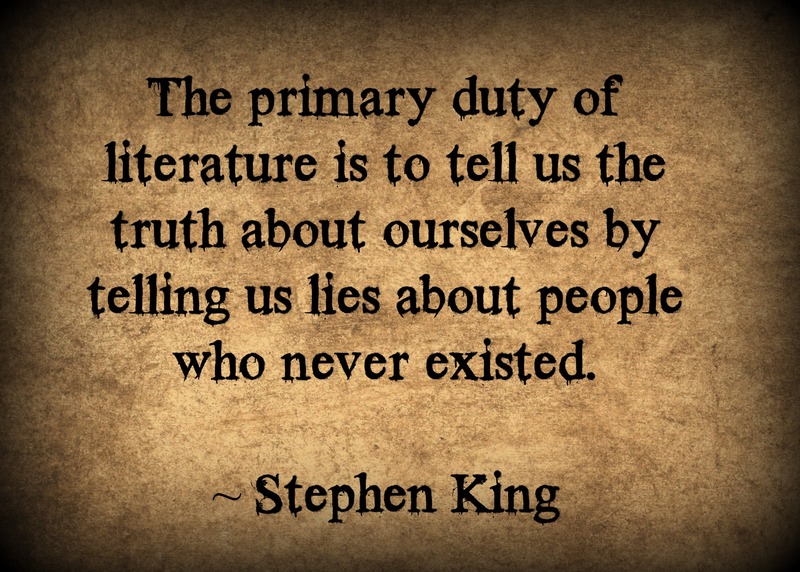 King’s stories have terrified me and inspired me, and I hope someday I can write a story that makes my readers feel that way. The inspire part, not the terrify part.